Grade 9 SDCI student, Taylor Kehoe, won the gold medal at OFSAA Girls Golf in North Bay. After day one, Taylor found herself in the lead after shooting one over par. The conditions where very difficult with high winds and a cool 6 degrees. 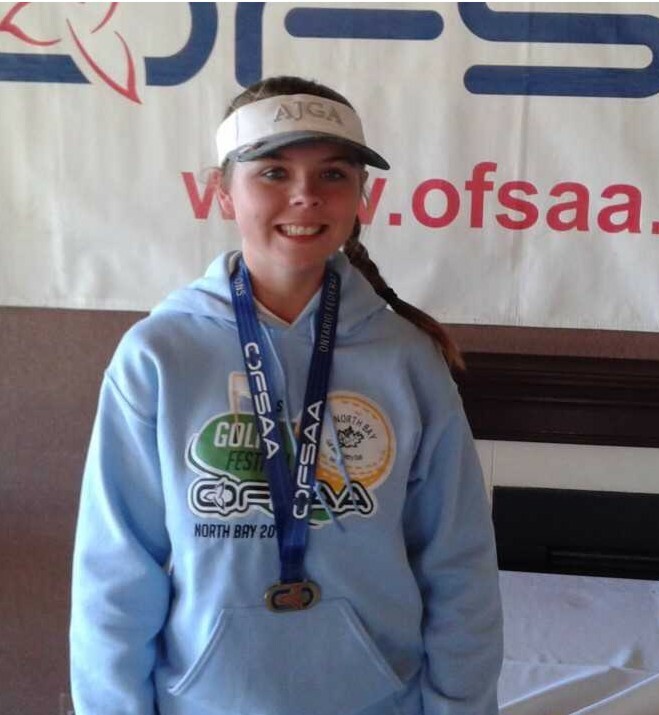 Taylor held on to the lead after the second day of competition, winning gold by 2 strokes. Taylor played some outstanding golf against many experienced, older golfers. Congratulations Taylor!! !